Growing succulents and cacti from seeds is a great way to acquire some species that are too expensive or too hard to find in stores! It takes a long time, but the pay off is totally worth it. Veteran gardeners and enthusiastic beginners alike often come to the idea of growing succulents from seeds. After all, that is how we get most of our other plants! 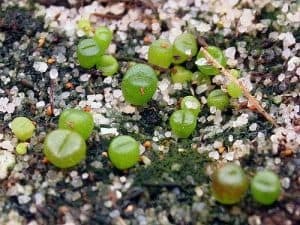 Unfortunately, getting succulent seeds to germinate is a bit more difficult than it is with other plants, and it can be a long time before the seedlings are ready to be repotted. If you’re up for the challenge, though, we’re up for telling you how! First we’ll tell you where to find seeds, and then how to grow them! As with most plant products, succulent and cacti seeds can often be found in brick-and-mortar stores. Try your local plant nursery, and if that fails, a big-box store like Lowe’s or Home Depot. 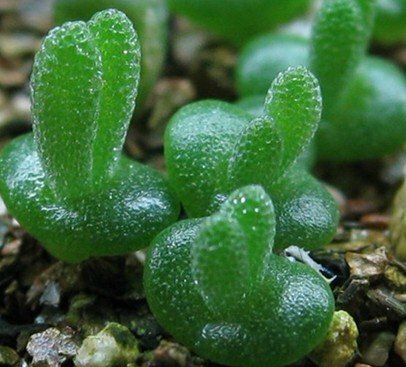 A recent trend in these chains is the selling of a miniature grow-your-own-cactus kit. 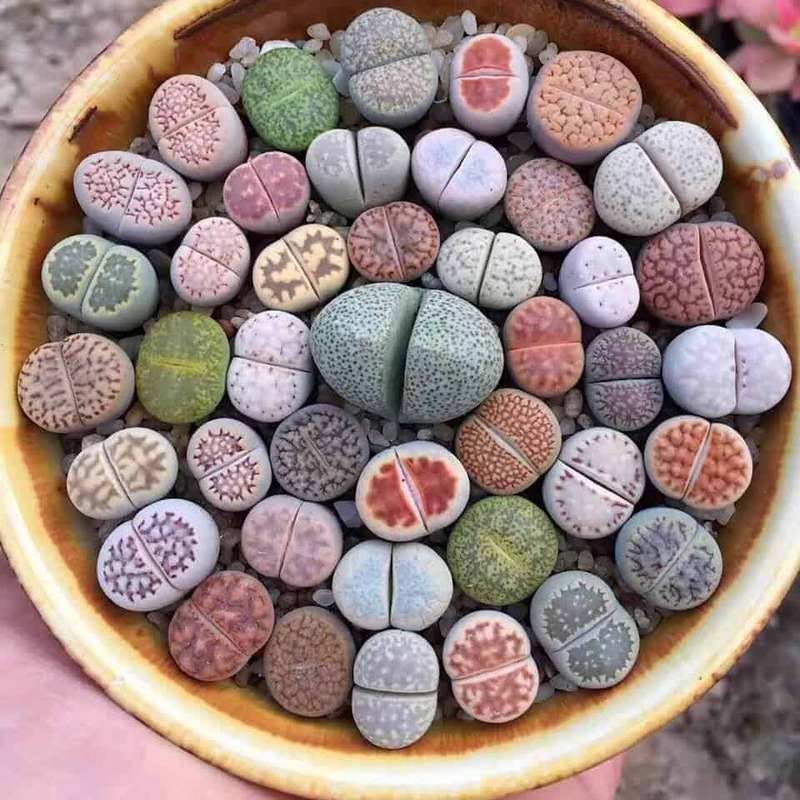 They often come with a tiny pot, seeds, and soil. Of all your online options, CactusPlaza has the widest variety of seeds. They have many species that are difficult to find or ship as mature plants. They also sell full plants and cuttings, as well as some intriguing hybrids. Check out their discount rewards system! Succuland is an online store that sells solely seeds, and specializes in those of the Echeveria genus. The prices are very affordable and they are generous with seeds. Shipping is usually quite prompt. Much like Amazon, Etsy’s selection is dependent on what the sellers are offering. It appears to be fairly reliable in that regards though. 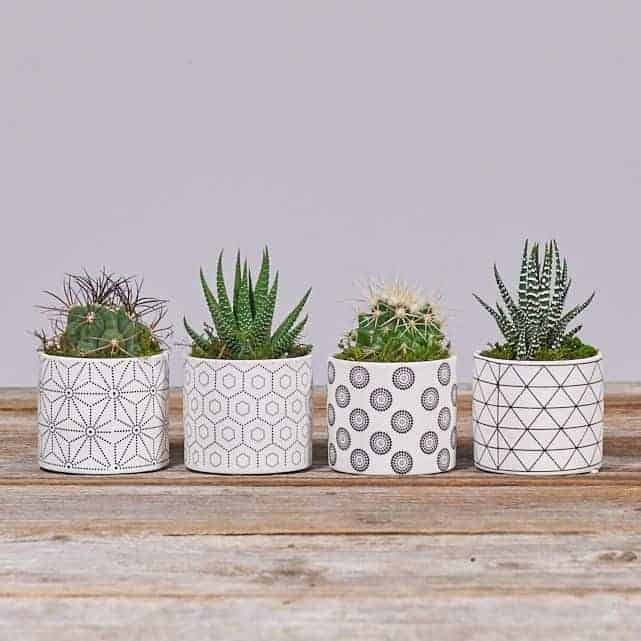 Etsy is a capricious beast, however, and prices could be dirt cheap or quite expensive – especially if you’re looking for those designer brand succulents. Succulents and cacti are an enormously varied family, and so it stands to reason that the methods for growing their seeds can be different. What follows is a general guide that should serve you for all but the most finicky of fat plants! First things first, ya gotta have somewhere to put your seeds. 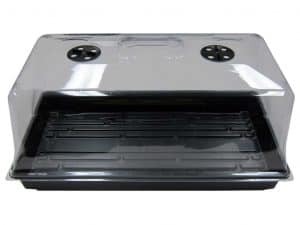 Most people like to germinate seedlings in a planting tray because it provides an ideal environment – plenty of space, access to sun, appropriate drainage, and a moisture-retaining dome. That part is important – you’ll definitely want a tray that comes with a dome. Use a shower cap as a substitute if you don’t have a dome. As always, make sure your container has drainage holes (if it doesn’t, make your own holes). The medium in which you will grow your seeds is variable, but most agree that it is best to do it in sand of some sort. Horticultural sand or builder’s sand from a hardware store are both pretty good. The idea is to have sand with large particle size. Depending on where you got the sand, you may want to sterilize it by baking it in a convection oven on a low heat for a few hours. This will help prevent fungi or parasites from infesting your baby succulents. Finally, fill your planting tray with this sand to about 1/2 of an inch below the rim. Here’s a nifty trick: Lightly dampen the surface of the sand with a spray bottle. This will help prevent the seeds from moving about when you are sowing them. 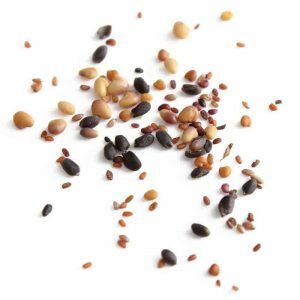 Most succulent seeds are absolutely tiny, so if you’re sowing them into a tray with cells you will want to pour them into your hand and then distribute 1 or 2 per cell. If in a large tray, scatter them evenly around the surface. There’s no need to bury or cover the seeds of most succulents. Gently shake the tray to settle the seeds. 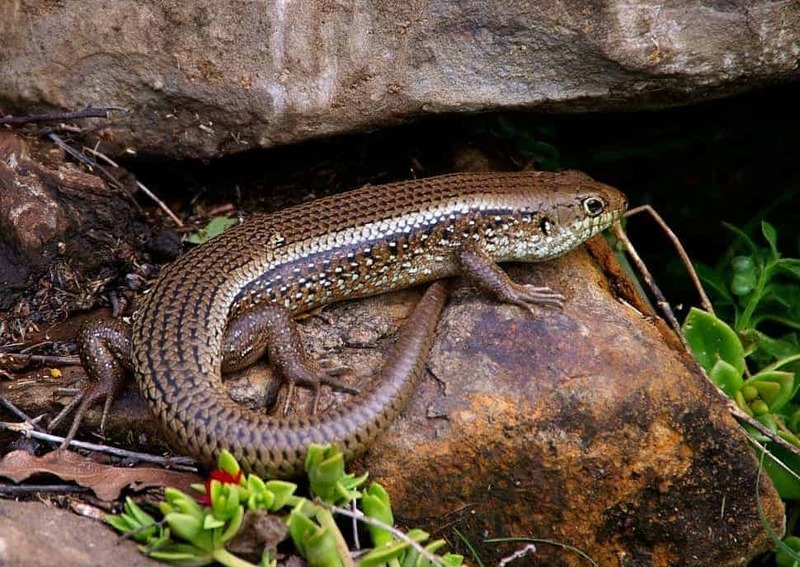 They can tell when they are in contact with the ground and they use it as a signal to begin growth, so you’ll want to make sure they have enough surface area touching the sand. Finally, put the dome on. It’s important that the seeds have a certain degree of humidity to begin growth. The temperature should remain around 70 degrees Fahrenheit. Once they sprout, it could be anywhere from days to months, you need to remove the dome immediately. Too much humidity could cause the seedlings to rot. However, it will be best to keep them moist for a while until they are grown. Use your best judgement and monitor carefully, but a week of continued wet is probably sufficient. Then, let them dry out and treat them like any other succulent! Water once a week or so when the soil is completely dry! Generally you want to wait until the succulent or cacti is of sufficient size that it won’t be damaged by transplanting. This varies by succulent species of course. For Echeverias it might be when their rosette is an inch across. For Sedum it might be when they are an inch long. If your seedlings are the size of the small succulents they sell in stores, they are probably ready. Don’t be too hasty though! They are absolutely fragile at this point in their life. Once you’ve decided they are grown up, care for them as you would the rest of your fat plants. If you need a reminder, check out some of our other guides like this one about succulent care, this one about succulent soils, or this one about repotting succulents. That’s about it! Have you had success planting from seeds before? Do you have any tips? Tell us below! Thanks, Sandra! Good luck with those seeds, keep us updated! I have a question! Is it true I should not let the soil dry? Hey Lauren – seeds certainly prefer humid, moist conditions for the first part of their life. Keeping the top layer of the soil wet is a good idea, but don’t worry too much if it dries out for a bit. Hi, Can you show me how a succulents seeds look like? I ordered a mix succulents seeds fro china and i received some tiny seeds which am not sure what it was? I never seen a succulents seeds before? I can’t actually post images in a comment, but I’ll describe it. It differs by plant, but most are similar. They are very small and dark, almost like black pepper. Ordering from China is risky business. A lot of the products are not actually succulent seeds, and scams are rampant. You probably won’t be able to tell until they germinate.